It’s the end of March. 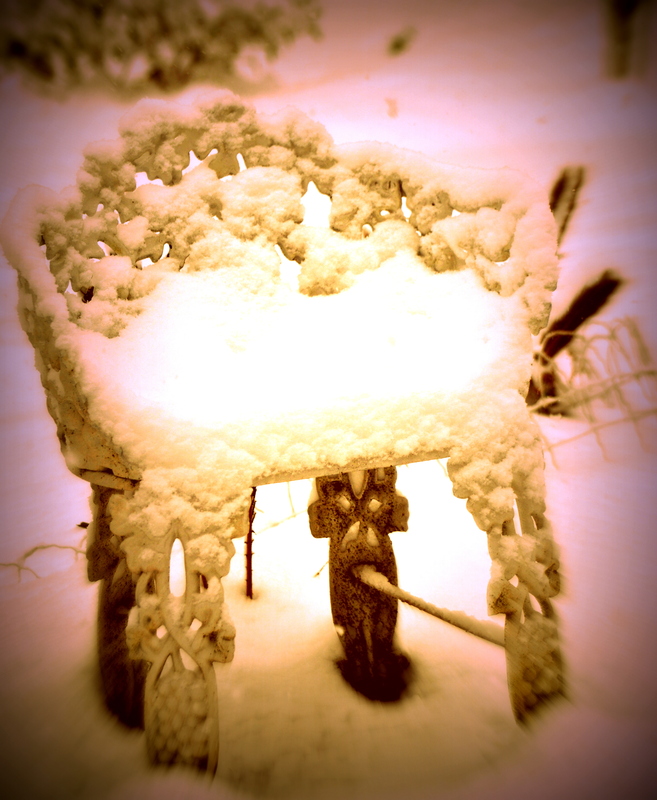 It has been a long and snowy winter. And with spring having just arrived, it’s time to start the next round of breast cancer related appointments. That is how I begin the season of renewal and rebirth. First up will be the mammogram. Then the oncologist. Then hopefully I will be free and clear for another six months to a year. I make my appointments. I keep my appointments. I love my care team and I still get anxious. It is a crazy thing, but I do. Life and time march on. I am one of the lucky ones. I know that and am thankful for it every day. I never told you guys that my sweet man and I made it legal in November, 2017. I will admit finding a dress was a challenge thanks to the lopsided post-breast cancer breasts of it all. But in the end, the right dress found me and it all worked out. We had an awesome day and w e were surround by people from every stage of our lives that we love very much. 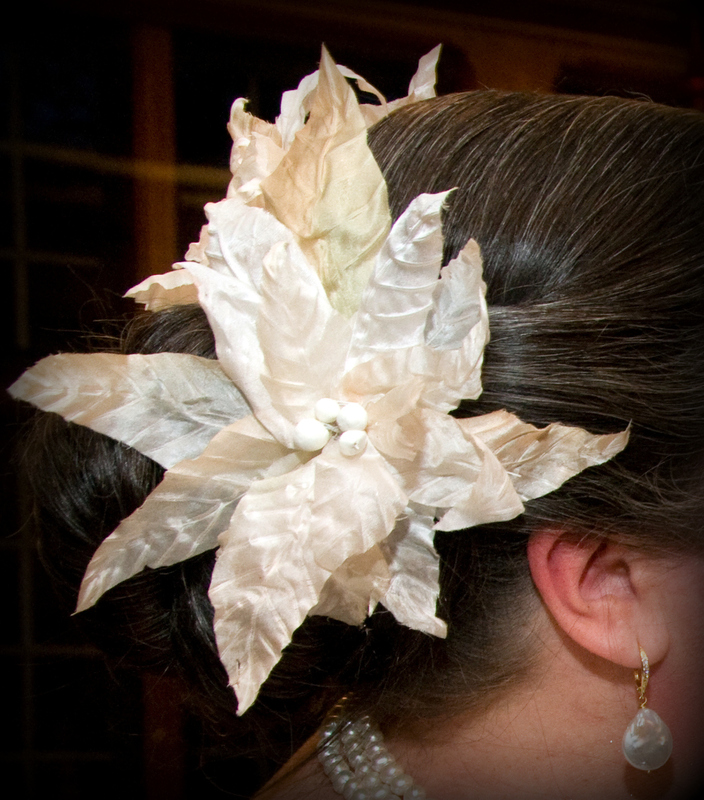 My friend who is a milliner made me white silk poinsettias to wear in my hair since I am not a veil person. We had a surprise wedding. We invited people to a holiday party. It is almost 7 years since you my dear readers, and I began this journey. I know I do not write very often at this point, but I do think of you and your encouragement over the years. And I will write soon. This entry was posted in breast cancer and tagged life post-breast cancer. Bookmark the permalink. Congrats on your wedding…and good luck on your next round of testing. I’m pulling for you.